Je vous recommande plutôt de vous rouler un joint à 9 feuilles dans les pages d'un volume de la "Recherche du Temps perdu", collection de La Pléïade. Ca fera toujours le bonheur d'un libraire. "How The Irish Saved Civilization": The Untold Story of Ireland's Heroic Role from the Fall of Rome to the Rise of Medieval Europe is a non-fiction historical book written by Thomas Cahill. Cahill argues a case for the Irish people's critical role in preserving Western Civilization from utter destruction by the Huns and the Germanic tribes (Visigoths, Franks, Angles, Saxons, Ostrogoths, etc.). The book retells the story from the collapse of the Roman Empire and the pivotal role played by members of the clergy at the time. A particular focus is placed upon Saint Patrick and retells his early struggles through slavery; basically retelling portions of The Confession of Saint Patrick. 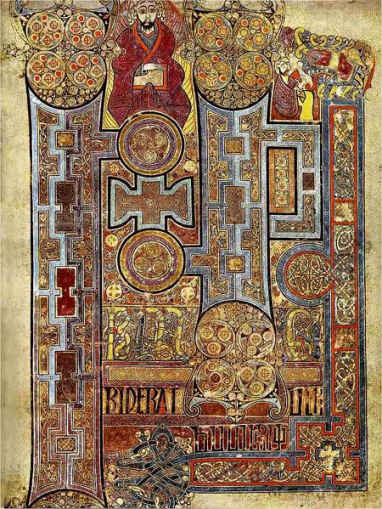 Early parts of the book examine Ireland before Patrick and the role of Saint Augustine of Hippo. Particular focus is placed upon Saint Columba and the monks he trained and the monasteries he set up in the Hiberno-Scottish mission. In a sense, these holy men salvaged everything possible from the destruction of the Roman Empire. How the Irish Saved Civilization was first published in March 1995 and appeared on the New York Times Bestseller List for almost two years.